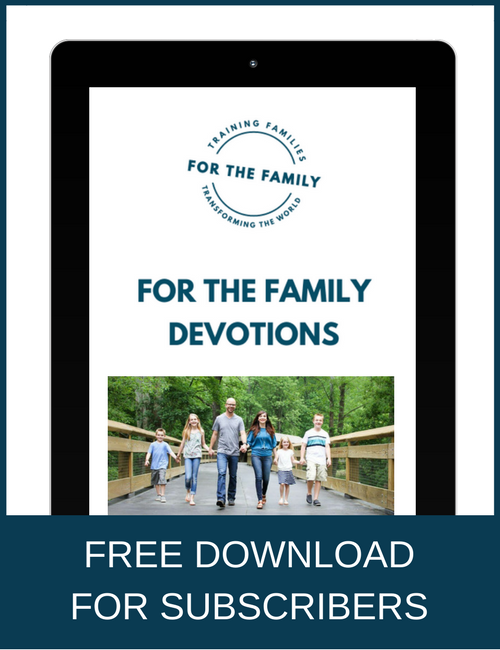 Question #1: Do we use screens to come together as a family? Technology has the power to bring a family together. You can Skype grandma or watch a funny or inspiring video clip together. But technology also has the power to drive you apart from your family members. The truth is we are rarely all around a screen at once. It’s more typical to sit alone in different spaces of the home; each of us with our own screen. Dad is watching sports, mom’s scrolling through posts. Sister has her ear buds in, and brother’s playing video games. During spring break, you can create screen free zones around mealtimes or on certain days like Sundays, or after 8:00 pm on weeknights unless the family is watching a movie together. Question #2: Is the parent/child relationship primarily strengthened or weakened because of screen use? I was in the martial arts studio recently. My husband and I are crazy enough to participate, so we’re on the mat with our kids wrestling. I watched one mom who was looking down at her phone during most of the one hour class. Being down on the mat gave me her son’s perspective. I did not see her look up at her son until the very end of class. I totally understand checking email and answering texts while waiting on a child’s activity. But we must have the self-control to finish our necessary tasks and then put our phones away. We must make the conscious decision to look up. 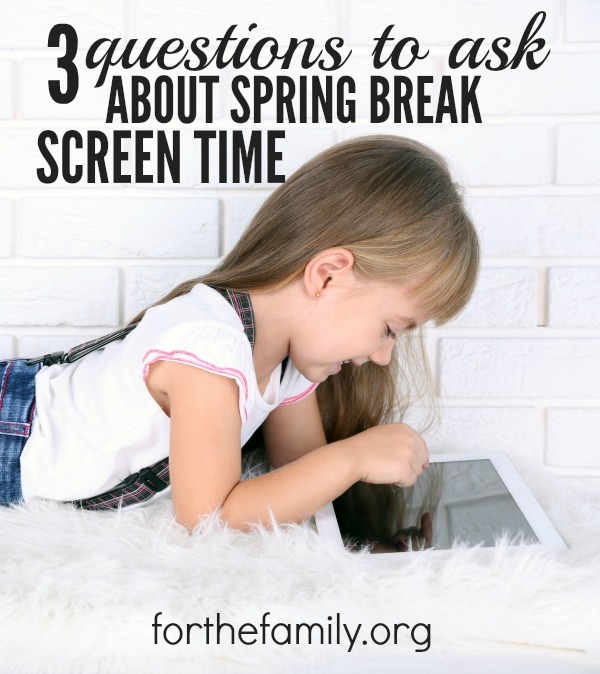 Part of the spring break screen time plan is how are you going to use screens while you have the advantage and rare occasion of having your kids at home? Now about your child’s screen time. If he or she is spending 7 hours or more a day with screens which is increasingly common, those are hours that aren’t spent talking with you. No board games or puzzles. No crazy dancing in the living room. No walks or bike rides around the neighborhood. That’s a lot of missed connection time. Question #3: Are my children learning bad words or attitudes after being exposed to something on screens? What content is your child consuming on television, websites, and video games? You already know most programming isn’t geared to helping your child obey his parents and live a moral, virtuous life of self-control and loving God. Quite the contrary! Sassy teens are the TV heroes and parents are portrayed as largely out of touch or out of the picture. Choose DVDs and visit websites which communicate the morals that support your family values. Be vigilant to keep the guardrails up. Your children need you to help them with boundaries. Television is still the number one place kids are spending their media minutes. Children ages 2-11 see an average of 25,600 advertisements a year. These ads parade everything from fast food to cereal, movies to toys. If you find your child’s attitude is increasingly entitled and ungrateful, you may want to consider screen time as a possible (and probable) culprit. Instead of allowing screens to absorb your precious free time while your kids are off from school, why not take a break from screens instead? 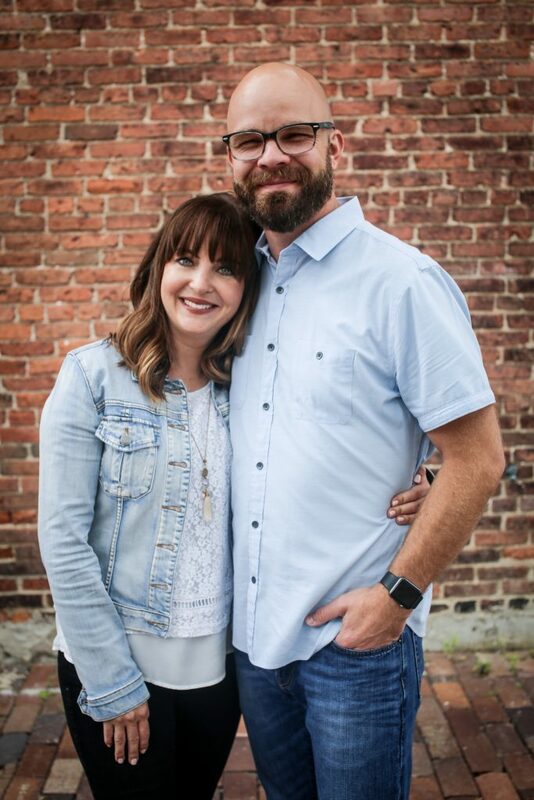 Use spring break as a window of time to intentionally break with technology and connect with your kids and God. You may be surprised at how refreshing powering down will be for your kids…and for yourself.